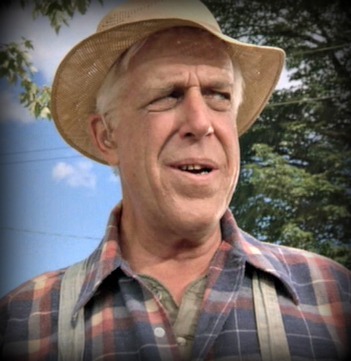 Stephen Kings Pet Sematary starts when a family moves out to Maine and purchases the home of their dreams, with a friendly old neighbor across the street named Jud. 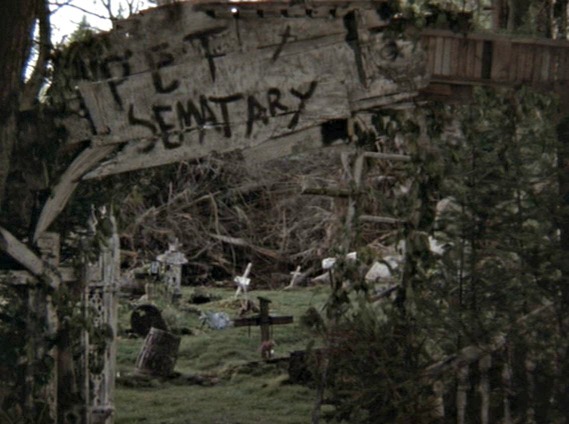 While the observant young daughter notices a path and asks what it leads to, Jud is hesitant to explain, but leads them to the Pet Cemetery, (Spelled, Pet Sematary) a graveyard made with the 'broken hearts of children' who have lost their pets to the highway or old age. When the family cat is forced into early retirement, Judd decides to 'help' the family by showing the young husband the powers of the land. But when the unspeakable happens to the young family, the power of the lands becomes overwhelming on the grief stricken family and the wounds only deepen. King wrote the novel and the screenplay with Mary Lambert Directing Pet Sematary, she did an astounding job of making me actually enjoy anything by Stephen King. 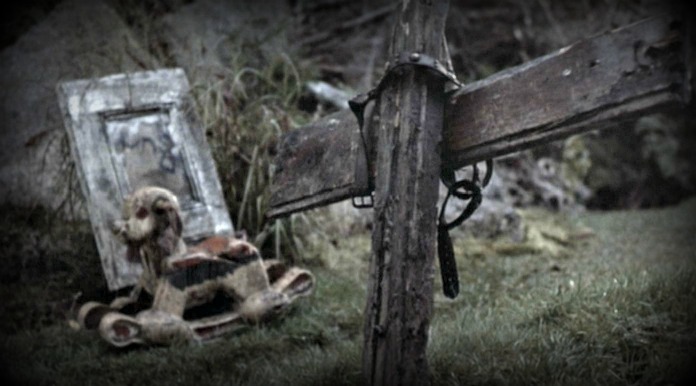 I am not a fan in general of his works, but this is one of the most haunting movies I have seen in a long time. Notice I said "Haunting" Not "Scary" There are scenes in this movie that will forever stay with you. I remember watching this when I was younger, and through my whole life there are scenes that I can recall very vividly whenever I think of the movie. As far as scary, it is more the drama that brings you to a brink of fear, it is not the typical fear that a horror movie can give you. It’s written, and directed in such a rare manner to make the movie a little bit different for everyone. For example; if you have children, or if you regret making mistakes or failing in things you have no control over, this movie will grip you differently than someone with no children, or who can write off fate. 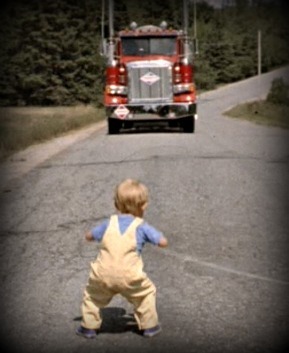 It gripped even me differently having been a truck driver before I turned to movie reviews. There are scenes that simply grip everyone in different ways. One thing is certain though, you will have scenes in this movie that you will never forget, never in your life. I was hesitant to include this as a 'zombie movie' because it really borders. I included it for completeness, it has people, and animals coming back from the dead to cause havoc so, there you go, that is why it was included here. 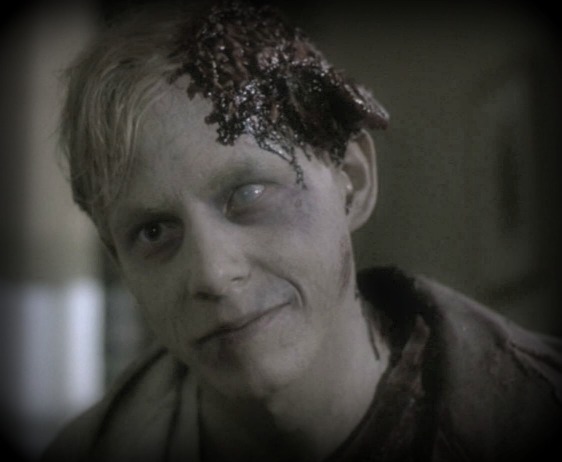 Visually, and audibly speaking Pet Semetary is such a treat for me. For the most simple of reasons; the special effects are as good today as they were 25 years ago. This movie was created in 1989, and was spared no detail. The wounds, from the small cat scratches, to the more grotesque wounds suffered by a teen struck by a truck, are realistic, and even now, with all the desensitization we have 'suffered' with big budget movies, and all the trucks we know and love in movies; I still look at it and think to myself "This is pretty good, I can’t see the work." The soundtrack is a bit dated, but still good. It isn't as cheesy as many movies of that year, subtle and used in the appropriate points, and the balance is perfect; the music never makes the lines hard to hear. There is some great casting as well, with Miko Hughes as Gage, (And his first role in film) it’s no wonder he went on to do other great films, while Dale Midkiff's role was believable, the addition of Fred Gwynne (He played in the Munster’s for over 43 years.) as Jud, made me so very happy. Just hearing his voice in film again was great, but the fact he fit the role so perfectly as the caring if misguided old man. For Stephen King fans this movie is a must own, top shelf story. If you are looking for a 'zombie movie' proper, but it’s a great thriller, a﻿nd a great movie. 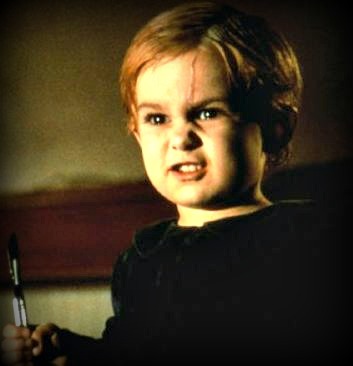 Pet Sematary Is Available On Blu-Ray as well as On DVD or you can Download Direct From Amazon .